As a vending machine company, you’re always looking for ways to gain more customers and improve your products. Maybe you’ve added more healthy options to your machines. Perhaps you now allow people to make purchases by credit card. Maybe you’ve even created industry-specific vending machines that help companies to make more sales in highly-trafficked areas. However, if you’re ignoring the importance of SEO when it comes to your vending machine business, all of your hard work will likely go to waste. Not to mention, you’ll lose business to your competitors. You might think you have the time and the ability to handle your SEO strategy on your own. However, this post will show you why hiring expert SEO services is a cost-effective choice that comes with countless benefits. Of course, the number one reason to work with expert SEO services is so that you can increase your website’s conversion rates. They start by running several thorough tests on your current website and/or blog. What’s working? What needs to be improved? Where are the majority of your site’s visitors located? What is your website doing to tap into the local market? How long does the average visitor spend on your site? What are your most and least popular pages? These are the types of questions that you need to have answers to. But remember, these answers change all of the time. If you really want to see your profits increase, then you need to hire professionals whose only job is testing, tweaking, and updating your website so that it’s always at its most effective. In today’s world, more people use the Internet on their smartphones or tablets than on desktop computers. This means that, if you’re ignoring the importance of mobile traffic, you’re missing out on an enormous section of your market. However, mobile web traffic is a different beast than desktop traffic. Expert SEO services help to ensure that your website is mobile-friendly. They’ll examine things like image size, cut out pop-ups that slow down your site’s loading speed, and even help you to develop apps if needed. Since more than half of mobile shoppers navigate away from a site if it’s slow to load on their phone, you can’t afford not to hire professionals to help make sure your site is mobile-friendly. Let’s get one thing straight: we can pretty much guarantee that your competition is already working with expert SEO services. If you’re not — or if SEO is something you only think about when you have the time — then you’re already behind. But experts don’t just help you to stay in step with your competition. They also help you to beat them. Professionals can help you to identify the specific keywords you should focus on, create an ideal content posting schedule, and help expose your brand to broader markets. They can also run some recon on the big names in your industry so that your branding and marketing strategies don’t end up looking like a carbon copy of your biggest competitor’s. The all-important Google Algorithm changes quickly — and frequently. This means that the SEO strategies you were using last week may not be effective this week. But if you’re using outdated SEO practices, you won’t just run the risk of losing connections with your target market. Your website may also be penalized by Google. This means you’re likely to plummet in the search engine rankings. Unless you have the time to constantly research changes to the Algorithm, you need to hire expert SEO services. A whopping 97% of shoppers say that online reviews directly influence where they decide to shop and the companies they decide to do business with. For example, vending machine brand HealthyYou Vending reviews discuss how many customers HealthyYou has served, how they keep their fees low and explains how its remote monitoring features help customers get the most out of their machines. Reviews of any length allow potential shoppers to hear the unbiased opinions of real customers. But how can you make sure your best reviews are being read? Online reviews are most often posted on webpages like Google My Business and Yelp, which also allow companies to post important information like store hours, location, and even photographs of products. 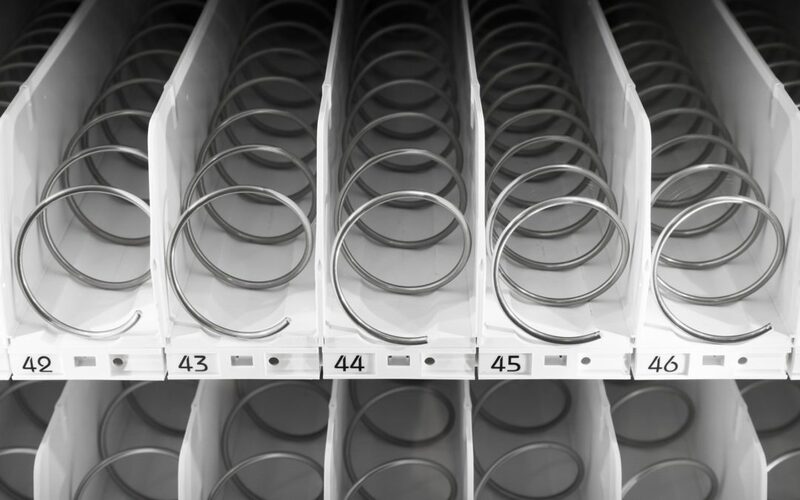 If your vending machine company has already claimed these pages, expert SEO services can help to ensure you’re using them to their full potential. They’ll frequently update your pages, add new photos, and, most importantly, respond to less-than-glowing reviews. Your responses and interactions on these pages help to show both past and future customers that you take their opinions seriously. It’s a frustration you’ve likely experienced yourself. You click on a website, only to have to wait for what feels like an eternity for the page to load. Or, you click on a link, only to be directed to an internal webpage that’s completely different than what you were looking for. Maybe you just can’t find the company’s contact information. All of these little frustrations can add up to poor customer service, less time spent on a website, lower search engine rankings, and fewer conversions. But professional SEO services work to test your website’s speed, intuitiveness, and more. This way, visitors will spend more time on your site — and be more likely to add your site to their bookmarks bar. Ready To Hire Expert SEO Services? Thanks to this post, you’re now much more aware of just a few of the many things that expert SEO services can do for your business. However, if you don’t work with trusted, experienced SEO professionals, you likely won’t get any of the benefits listed here. Spend some time on our website to learn how Full Scale SEO Services’ unique process and insights will help to take your vending machine business to the next level. When you’re ready to get started, feel free to reach out to us.